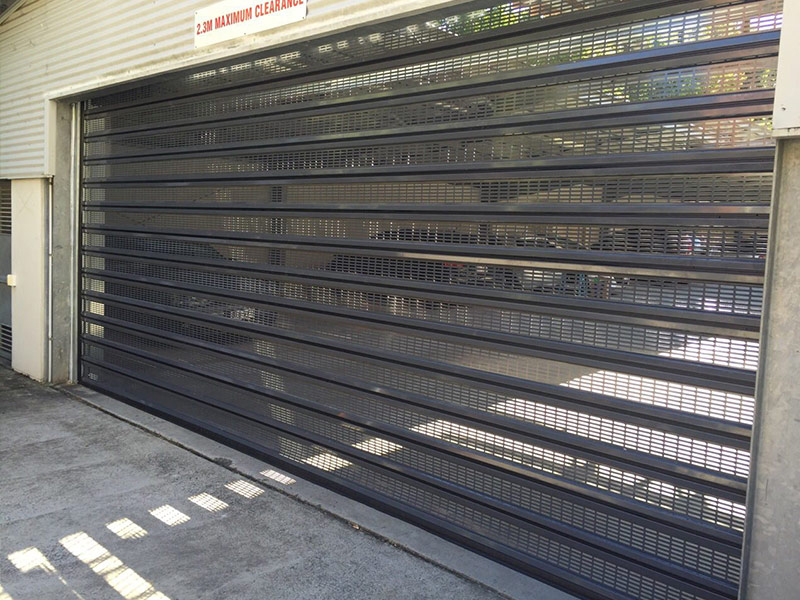 Spiral Air Flow high-speed doors are the best quality products of our range. 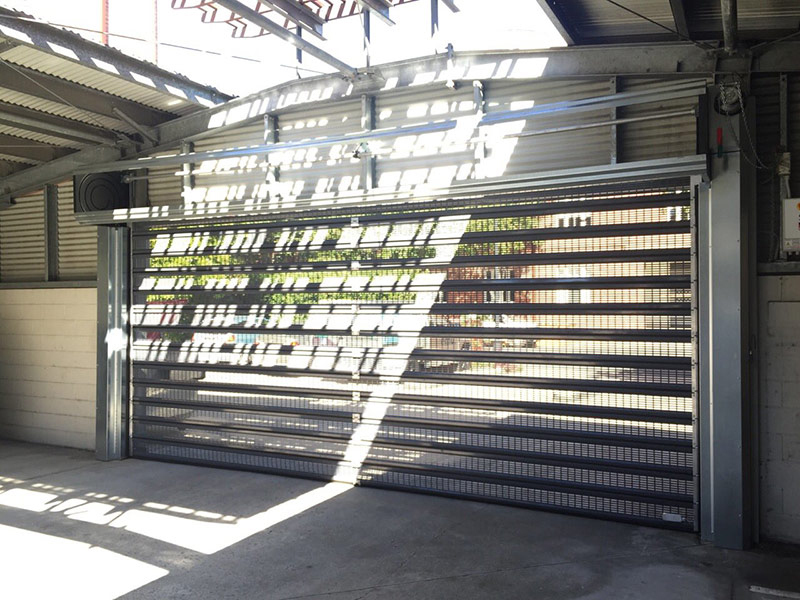 This door features some special pierced panels made of galvanized steel to ensure air flow between different environments and air permeability up to 25%, while facilitating acoustic and visual communication and an opening speed up to 2 m/s. 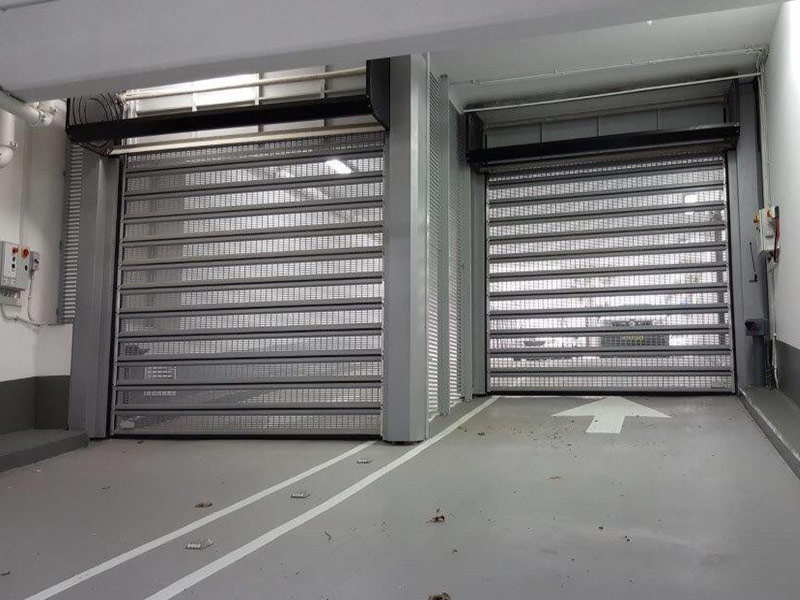 This product is ideal for garages, multi-storey car parks and, more generally, spaces requiring efficient ventilation. Moreover, just like all Spiral doors, it offers the best performance in terms of safety, simplicity, noise abatement and durability. It features a patented spiral system, while its horizontal tracks are made of high density polyethylene, with an integrated handling system. Another great advantage of this product is its versatility, thanks to its small footprint. 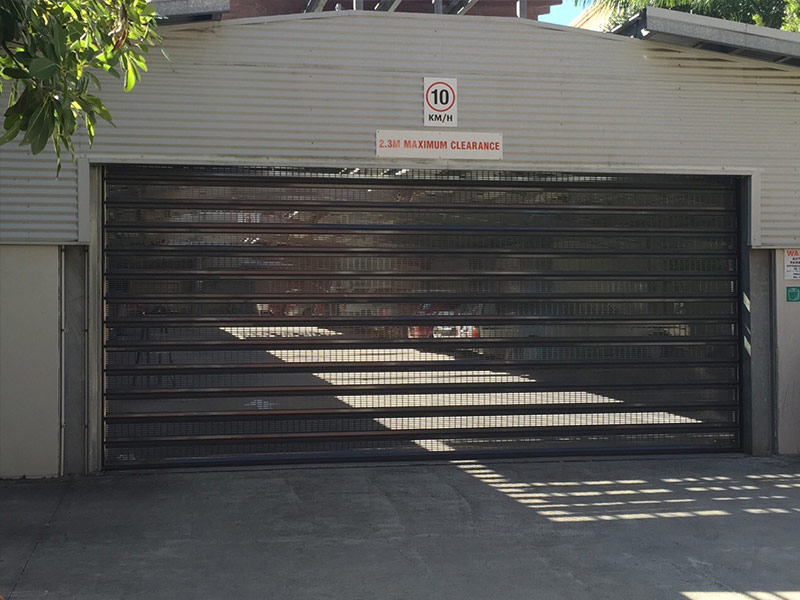 Unlike traditional sectional doors, it does not require any anchoring to the ceiling.